Does the Swiss Army Really Use Swiss Army Knives? Home / Articles / Does the Swiss Army Really Use Swiss Army Knives? If you’ve ever been a Boy Scout, you remember the day you were issued your first Swiss Army Knife. There’s nothing quite like these knives, which come equipped with a wide range of useful tools: not just knife blades, but can openers, tweezers, a screwdriver even a cork screw. If you were a scout, you could picture yourself stranded in the wilderness, surviving on nothing but your wits and the little implements tucked inside your knife. In this week’s blog post, we’ll learn about the origins of this fantastic knife. Although it was commissioned by the Swiss military in the 1880s, the first Swiss Army Knives were actually produced in Germany, as Switzerland didn’t have sufficient tool-making factories at the time. According to Atlas Obscrua, a Swiss inventor named Karl Ensler was eventually able to give the army what it wanted: a simple, portable tool to let soldiers open canned goods, make repairs and – of course – cut things while in the field. The knives became internationally known during World War II, when American soldiers first discovered them…and discovered they couldn’t pronounce their original name, Schweizer Offziersmesser. 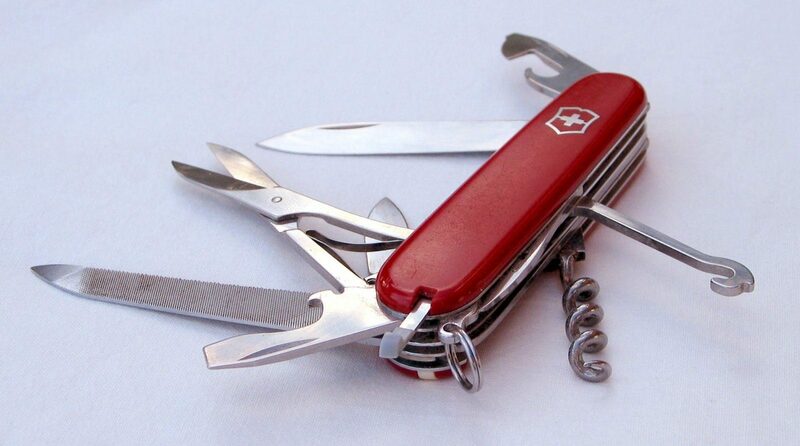 The literal translation, “Swiss army knife,” was much easier to use. Isn’t Switzerland a neutral country? Switzerland is known for remaining neutral in foreign wars. In fact, it’s been more than 200 years since the Swiss were involved in an armed conflict between other nations. 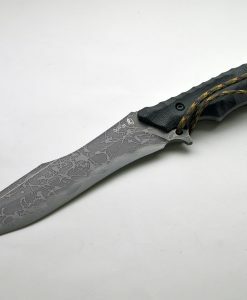 All members of the military are given the country’s famous knives, which are considered tools rather than weapons. Keep your knife free of debris by cleaning it with liquid soap and water. You can use a toothpick or Q-tip to reach small crevices. Take care if you plan to submerge the knife. You’ll need a rag and compressed air to completely dry it. 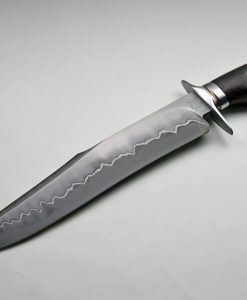 Most knives come lubricated straight from the factory. Give them time to break in before deciding your blade needs lubrication. As the knife ages, give it a few drops of oil applied to the pivot to keep it opening and closing cleanly. Regular sharpening is the key to make sure the knife provides a clean cut. It also makes it easy to sharpen. You’ll have a much easier time honing a blade that undergoes routine sharpening than trying to sharpen a knife that’s gone completely dull. Another way to ensure your knife performs well: invest in a high-quality blade. 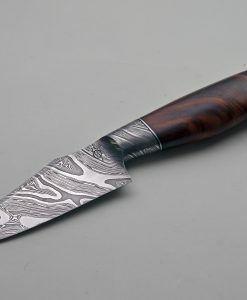 Exquisite Knives offers a broad range of custom knives, hand-forged knives and more. Visit our catalogue today to find the knife that’s right for you.